The PUMA ONE 19.1 soccer boot was launched back in January has since been a staple within the professional ranks of soccer around the world. It is one of two boot silos from the German sportswear and essentially their control / power boot. We’ve been trying out the show over the last month. Here is our World Exclusive review of it! 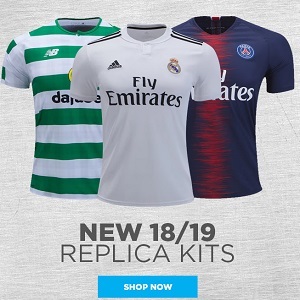 The PUMA ONE 19.1 is now on sale at World Soccer Shop, Lovell Soccer, Pro:Direct Soccer and Kitbag. The PUMA ONE 19.1 retains the silo’s original principles of perfecting every aspect of a player’s footwear needs; FIT, FAST and FEEL. Who’s Wearing the PUMA ONE 19.1? Look at any soccer match from one of the world’s major soccer league and you’re bound to see at least one player on the pitch in the PUMA ONE 19.1. Some of the notable athletes that we’ve boot spotted in them include Luis Suárez (FC Barcelona), Romelu Lukaku (Manchester United), Olivier Giroud (Chelsea FC), Sergio Aguero, David Silva and Vincent Kompany (Manchester City). We’ve also noticed a few rugby union and rugby league players in them. This speaks to the versatility of the shoe. Bleu Azur-Red Blast-Black colorway. A classic soccer boot-vibed Puma Black-Puma Black-White and the flashy Hacked Pack Green Gecko-Black-Gray PUMA ONE 19.1 ‘s followed. The launch colorway of the boot remains our favorite and is still being worn by several professional footballers. It is highlighted by the bright blue K-Leather section that makes up most of the shoe’s front and is the most visible section of the boot. The use of the color is quite effective in that it is extremely eye-catching and adds immense visual appeal. The back portion of the boot is a flat black with the Red Blast adding contrast with a near spacelike, starry effect. The PUMA Formstripe and ONE print are also in Red Blast for extreme contrast via a black background and proximity to the blue front. Under all of this is functional raised contouring that adds to the brilliance of the PUMA ONE 19.1’s aesthetic appeal. The color scheme of the upper continue below the shoe and are clearly seen on the underside of the PUMA ONE 19.1 through its translucent soleplate. Add in the boot’s evoKNIT sock with two sets of ridges and you’ve got a piece of soccer footwear artwork that belongs in a display case. It certainly got the attention of our fellow players as soon as we showed up to practice in it! The PUMA ONE 19.1 continues the ONE series tradition of always having an excellent fit. The boot is absolutely true to size, so we suggest getting it in your usual soccer shoe size. The K-Leather at the front does mold to your feet after the first few wears but does not stretch out. Sliding into the PUMA ONE 19.1 is effortless from the first time you try to put the shoe on your feel. It is simply a matter of holding the front and back pull tabs and sliding your foot into the boot. Once in the show we felt quite locked into the boot via its evoKNIT sock and flattened lacing system. We were worried about the sock stretching out of shape over time since it made of a fabric material. This concern was alleviated after a few wears when we saw no loss of elasticity in the sock. This is just like the PUMA ONE of 2017. One of our team members regularly worn it for over a year and a half and says that the boot has held up remarkably well including its sock area. On the feet the PUMA ONE 19.1 feels light and comfortable off the bat. There is no new soccer boot soleplate stiffness or under the foot discomfort that must be worked through. Some passing and shooting practice with it is recommended though since the front is natural K-Leather that becomes better with wear as takes the shape your feet through running with, trapping and striking the ball. The stability of the PUMA ONE 19.1 is largely based on its sole plate / heel counter combination. This section of the boot is on its thin, lightweight RAPIDSPRINT outsole. The cleat configuration on the boot combines bladed and rounded studs in a pattern that has evolved slightly since the first version of the shoe. Based on the number of studs towards the front of the boot we surmise that this is influenced by the increasing number of artificial grass pitches popping up around the world. We played in the PUMA ONE 19.1 on both natural and artificial grass. The traction provided was amazing in both cases. The 19.1s are the type of boot that you can take out off the box and start running in either surface on. They provide solid footing on both types of surfaces with no slipping, ankle turns, hotspots or blisters along the way. The stability of the ONE 19.1 is best felt in the seamlessness of running in them and in executing the dynamic stops, cuts, changes in direction and sprints that are part of soccer. The boot performs remarkably well in supporting all these moves and actually becomes an afterthought while playing. Needless to say, this is what we soccer players desire in our footwear as we focus on the game and our next move on the pitch. We’ve yet to run into a K-Leather boot that doesn’t have great touch on the ball. The PUMA ONE 19.1 is no exception! However, it goes above and beyond your basic K-Leather boot via some nice technical enhancements from PUMA. The first of these is over engineered 3D waves on the leather section of the PUMA ONE 19.1 This element of the boot does indeed appear to enhance overall grip and contact with the ball. We found that it also absorbs momentum of oncoming balls thus making it easier to control them. Making quick passes with the upper frontal section of the feet are effortless even on the run in the ONE 19.1 and quite accurate. This was a characteristic of the PUMA ONE that has been improved with the ONE 19.1. The 3D waves continue past the K-Leather and onto the black synthetic area of the PUMA ONE 19.1. This was a clever move by PUMA’s designers and with fantastic effect. This is because the waves dampen the energy of the ball when you trap it providing greater control and that extra fraction of a second to make your next move with. The instep area where the waves are pronounced is a dream to pass with. The accuracy that the 3D “over engineering” / perfectly contoured inside of the foot area combination produces makes passes made with the area intuitive and extremely accurate. As expected, the K-Leather portion of the PUMA ONE 19.1 is the standout Touch feature of the boot. It is clearly high quality and included with no stitching at its top. This makes for pure contact with the ball that becomes essentially bespoke to your feet after the leather molds to your feet in a few wears. The resulting feel on the ball is extremely intimate and allows you to impart the right amount of weight and accuracy in your passes and shots after about two hours of wear. The PUMA ONE 19.1 ranks among the most protective modern boots (i.e. not classic 1990s / early 2000s in construction) on the soccer footwear market today. The K-Leather and synthetic portions of the upper are lightweight but offer solid protection against mashes and studs up tackles. The one vulnerable are is the evoKNIT sock area beneath the laces where there is little but fabric between your upper feet and your opponents’ boot studs. The PUMA ONE 19.1 is hardly shows any signs of wear after over a month of wear. As expected, there is some creasing in the K-Leather section since it is a natural material that adjust to the wearers’ feet. All the other parts of the boot look essentially the same as they did when we unboxed the boot. This shoe should last for at least a year of regular soccer play. Built for and capable of being worn for any position on the football pitch, the ONE 19.1 is another stellar offering from PUMA Football. It lives up to its FIT, FAST, FEEL concept without question with the FEEL / touch characteristic of the boot ranking among the best that we’ve seen in a soccer shoe in some time.